We are delighted to welcome novelist Scott Lax to Omnimystery News today. Scott's second novel of suspense is Vengeance Follows (Gray & Company; December 2013 hardcover and ebook formats). We recently had the chance to talk with him about it and the he's giving our readers a chance to win one of three copies of the book; more details, below. Omnimystery News: Tell us a little more about Vengeance Follows. Is it a sequel to your first book? Scott Lax; Photo credit Joe Gunderman. Scott Lax: I set my first novel, The Year That Trembled, in a small, fictional town in Northeast Ohio called Chestnut Falls, spanning one year, 1970 to 1970. It's a coming-of-age story that features a number of young people in their late teens and early 20s. My second novel, Vengeance Follows, is set in France at the beginning, but soon moves to the same town of Chestnut Falls. Only one of the characters from the first novel shows up in the second novel, which takes place in 2007 and 2008. He's a Vietnam Veteran who had PTSD in the first novel. In Vengeance Follows, he's older, nearing retirement, and has straightened out his life. He owns and operates a bar and restaurant in the village, and it's where I set some of the most important scenes. So he goes from being a small secondary character in the first book to an important secondary character in the new novel. One reason I put him in there was that he gives my narrative about the town a type of continuity — the continuity of place, as well as the human elements that make up place. In future novels, I can see using numerous other characters from both books, depending on whether the story calls for it. For me it's all about what the story calls for. The other thing I'd say about Vengeance Follows is that it has one similar theme to my first novel in a significant way, which is what will the characters do in extreme circumstances? How far will they go? Will they betray their sense of their own values, their own lives? The Year That Trembled asked, "If you were drafted to fight in a war that you didn't believe in, what would you do?" Vengeance Follows asks, "If you could confront a person you hold responsible for the death of a loved one, what would you do?" To me, the mysteries of the human heart, mind and soul are the deepest mysteries. OMN: How do you categorize the book? SL: My publisher categorized it as literary suspense. Some in the mystery community insist that Vengeance Follows is crime fiction. Any and all of the categories are fine by me, because I think different readers will take away different things from it. SL: There is a mystical — or maybe a better word is metaphysical — theme that runs throughout the book, but it's quite hidden. I'm not about to reveal it, in any case. What's the fun of that? OMN: How would you rewrite the synopsis as a tweet? SL: An expatriate wine writer from Chicago loses his wife in Paris to a fatal and mysterious illness and travels to the Ohio to confront the stranger he blames for her death. SL: Yes, a good deal of what is in my novels relates to my experience, as well as the experiences by people I have known. That includes the good guys and the bad guys, which is why I'll never talk about identities. And yes, there are numerous situations based on real events. That's one of the reasons why I write fiction: To write "happening truth" as opposed to "story truth" — a concept talked about by the novelist Tim O'Brien. With fiction, I have much more freedom to tell a deeper story. The novel may be the truest art form there is for this very reason: novels can be "truthful," which is a different concept than merely "true." "True" is a statement of fact or facts. "Truthful," in this sense, is deeper, and I hope it allows the reader to understand the story behind the story, or have a glimpse into the mind of a character. SL: With my first novel I followed a general outline of a plot, given that I wrote the last line first, then the first line, and spent four years filling it in. With Vengeance Follows, I created characters, set them in motion, and let them develop over a longer period of time. I "followed" them, in a literary sense. It was a longer process. I recommend both processes, or any that works for you. I like the quote by the novelist W. Somerset Maugham: "There are three rules for writing a novel. Unfortunately, no one knows what they are." This isn't to say I didn't study with excellent teachers and writers — I did. But I'm also an autodidact on drums, as with writing. I tried to teach myself a lot, as I didn't have an advanced degree and knew few novelists, so read a great deal about novel writing, and read great novelists. I tried to soak it up. What Maugham may be saying is that you learn all you can, then write the best story possible. Think of it like practicing a sport. You learn the fundamentals of hitting a baseball or kicking a soccer ball. There may be twenty different fundamentals. But when it's game time, you don't focus on the rules you were taught, but forget them for a while, trust yourself and take your swing or kick. It's the same with writing. My advice is to try not to write self-consciously. Write honestly and don't worry too much about your audience. You'll never please everyone. OMN: Where might we find you when your writing? SL: I often write in a second-story writing studio I rent that overlooks a small village. It's usually very quiet, though sometimes I listen to jazz, rock or classical, depending. I write on a small wooden table, usually on a MacBook Air, but sometimes by hand. I am surrounded by books and photos of my wife and son. But I can write just about anywhere if the mood strikes and time allows. OMN: How do you go about researching the plot points of your novels? SL: For my first novel, published in 1998, written between 1993 and 1998, there was no Google. (Interesting to me: I just Googled "how old is Google," and learned it was founded September 4, 1998 — three weeks before The Year That Trembled came out.) So my research was from memories, interviews, print books, imagination, old newspapers I obtained from the library on microfilm … you name it. For Vengeance Follows, I used all of those elements of research, but was able to add Internet research, which is a great thing (as long as you double-check your facts). For the French-speaking parts (there's a small amount of French in the novel), I consulted with a French teacher. For the wine parts — well, I'm an oenophile of French wine, so I did a lot of research on my own, but also had my wine sections vetted by a certified specialist of wine. For the gun sections, I consulted with a gun expert, a police chief and a detective. OMN: Tell us more about the settings in the book. SL: Other than Paris (a real city, of course), and Ville de Rachat, France (which I made up), most of the action in my two novels takes place in Chestnut Falls, which is based on Chagrin Falls, Ohio, a small town where I grew up. So I'll focus on that: The geography is accurate, in terms of the natural aspects of the place. But I take liberties with the town. I'll have a real street next to a fictional one. I'll change the locations of some places, but not others. Whatever I do, I do to serve the story. In a phrase, I create a parallel universe to Chagrin Falls, where I grew up. So when people ask me, "Why don't you just call it Chagrin Falls?" I answer honestly: "Because it's not Chagrin Falls, it's Chestnut Falls." That single sentence liberates me as a writer. Novelists should be free to change things around. My setting is extremely important to the plots. Literature, like life, doesn't happen in a vacuum. We're deeply affected by environment, and we affect out environments. I try to show that. For me, place is a character. Take, for example, Northeast Ohio. Like anywhere, I suppose, it's an unusual place, filled with contradictions and complexities. The people are proud but not boastful; they're both Midwestern and influenced by the East Coast. It's a good combination for setting a novel. OMN: If you could travel anywhere in the world, all expenses paid, to do first-hand research on a setting, where would it be? SL: Europe. The English countryside in summer and autumn. I spent my last bit of college at the University of Cambridge, and I've always wanted to go back to England. I'd like to wander a small village, get to know the locals, hear their stories. I think small towns are the best places for my stories to take place. I'd like to spend part of that time in the Bordeaux region of France, and in my ancestral home-country of Norway. OMN: You mentioned being an oenophile of French wine. Has this, or any of your other outside interests, found their way into your books? SL: Two of my hobbies found their way into my first novel, The Year That Trembled: Drumming (I used to be a professional drummer); and spending time outside in nature. My character also spends a lot of time outside and finds his greatest peace there. A young man, he works for a landscaper by day, and plays drums by night. Just as I did for a period of time. In Vengeance Follows, I did use my interest in and enjoyment of French wine, which I've studied quite a bit, and even wrote a wine column for a time. There are many wonderful wines from many countries, but I'm partial to French. It's just the way my palate works, I suppose. My protagonist in Vengeance Follows, who is a professional wine writer, is far more knowledgeable about it than I am! 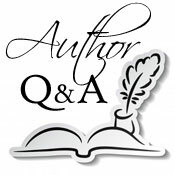 OMN: What is the best advice — and harshest criticism — you've received as an author? SL: Years ago, when I'd visit my folks in Florida, I once took a day-trip to spend the afternoon at Ernest Hemingway's house in Key West. At one point I became tired and sat down on a bench in his garden. Almost whimsically, I "asked" the late author for his advice. There was a hot sun, and I fell asleep. I woke up with a start, and with these words in my head: "Write cleanly and from the heart." Surely it came from my subconscious. Nevertheless, that's the advice I've used ever since. "Cleanly," meaning understandable and honest. "From the heart": write with honest emotion. That's about it. The harshest criticism came from a guy I knew a little through a mutual friend. Back in late 1998, he walked up to me and said, "I read The Year That Trembled and I hated it. I should know, because I was an English major." I was so shocked that he said it to my face that I said something like, "Okay, well, there you go, thanks." About a month later the Denver Post listed that novel in their year-end book section feature as one of the "milestones in fiction" for 1998. It was alongside novels by such authors as Stephen King, Anne Rice, Tim O'Brien, Tom Wolfe and Phillip Roth. I think that experience — both reactions happening so closely together — formed my philosophy that you can't please everyone, and you shouldn't try. Literature is highly subjective, to say the least. OMN: What have you learned, or can others learn, from either? What advice might you give to aspiring authors? SL: Your fortunes may rise and fall, your confidence may come and go and there may be times when you don't believe in yourself. But if you have a story you believe in, keep at it. Let your story carry you. Things don't have to be ideal. There are always obstacles in life. If you feel you can't write another word, write anyway, even if it's one sentence. No one else can tell the story you want to tell the way you want to tell it. Write for the joy of creating something new, something that's never existed before. Don't worry about getting published. The story will find its way, whether if it's to a bestseller list or to your family and friends. Don't give up. SL: I am a crime novelist and thus I am also a man who would dearly like to avoid the situations I put into my novels. I prefer a peaceful life. I made plenty of mistakes when I was younger, and now I'd rather write about what I've learned to create stories. At the end of the day now I'd rather go home to my family. OMN: Where does the title of Vengeance Follows come from? And were you involved with the cover design? SL: I got Vengeance Follows from a Scottish proverb: "Where vice is, vengeance follows." I think it fits the books, and my publisher agreed. As for the cover, I contacted an old friend who is an impressionistic painter, Robert Crombie. He'd once done the artwork and covers for an alternative newspaper I founded and edited in high school. My publisher liked his impressionist paintings, but none were suitably menacing for the title and the feel of the book. Then Robert said, "Well, I have a black and white drawing that might be right." He showed it to my publisher, who added some red to it, and it was perfect. It couldn't have been more ideal for this novel. That's special to me, and I think to Robert. SL: The question I get the most is whether I'm my protagonist — Casey, the first person narrator in The Year That Trembled, and Sam, the protagonist in Vengeance Follows. I'm vague about the answer. I'd rather let readers use their imaginations. With The Year That Trembled, people ask if I was in Vietnam or in the draft lottery. The answer to the first question is "No," and the second one is "Yes, and my number was 235 — too high to be drafted." Sometimes people will ask my why sad or uncomfortable things happen in both books. I answer that honestly: Because it's the story. That's all there is to it. A story has a life of its own. In a sense it's out of my control. I try to honor what a story needs to be. OMN: Tell us more about the film you made from The Year That Trembled? SL: I did make a feature film out of my first novel, and I think the late Jonathan Brandis was magnificent in his portrayal of Casey, the first person narrator of the novel. As the producer, I very much wanted Jonathan for that role. What a great talent he was. I was not the screenwriter or director, but I did have creative control. However, I empowered the director/screenwriter to implement his vision, which was to expand upon the story of the book, and make The Year That Trembled more political than the novel. He added a number of subplots. I like the film, and am moved by it, but if a production company wanted to option it again and make a film truer to the novel, I would listen to their vision. I own the rights to the novel again. I'd like to see it made as the smaller, more intimate story that reflects the novel. I've adapted it for the stage, and that's how I wrote it. OMN: If Vengeance Follows were to be adapted for film, who do you see playing the key parts? SL: If I had to pick the lead for Vengeance Follows, I think maybe James Franco, Tobey Maguire or Christian Bale would be terrific. It would need an actor in that age group who could show a dark side to the protagonist, because his choices aren't clear, and he goes from grief to rage, and many other emotions. It would take a talented actor to play him, I think. As for the really bad guy, Lee Clayborne, in Vengeance Follows, I'd have to say Matt Damon. His role as a blond, all-American-appearing and charming psychopath in The Talented Mr. Ripley was brilliant. He'd be ideal, because my antagonist is a charming psychopath. SL: I read a lot of adventure books when I was a pre-teen — books about the Civil War, the American Revolution, World War II. When I was a teenager I liked novels that are considered pretty high literary fiction: Lord of the Flies, 1984, Catcher in the Rye, and so forth. Then I began to read two genres like mad: science fiction, particularly Arthur C. Clark, whose sci-fi is filled with mystery, and political thrillers by authors like Tom Clancy. And I like books about time-travel. I might try to write one — I think it's a great theme. Later on I moved on to re-reading a lot of the greats: Hemingway, F. Scott Fitzgerald, literary authors. OMN: And what do you read today for pleasure? SL: All kinds of books, whatever strikes my fancy. I thought Stephen King's 11/23/63 was so entertaining and smart. I also like memoirs and biographies. As for thriller/mysteries, I enjoy John le Carré. I love psychological suspense, which in some ways is what I write. And I read a good deal of literary fiction, including classics. SL: Jay Gatsby and Holden Caulfield. OMN: And what about films? Do you enjoy watching movies? SL: I used to watch a lot of films by the late French new-wave director, François Truffaut. His combination of intense romance, tragedy, mystery and a high sense of literary artfulness still inspire me. I also like the films of Mike Nichols, the American director, who tackles complex issues with such intelligence, from The Graduate to Closer to many incredible stage plays. I like the way he allows his characters to express themselves. One of my favorite films still remains Animal House, written by my old neighbor in Chagrin Falls, Ohio, Doug Kenney. (Though I didn't know him.) I love its absurdity and sense of rebellion. And I can't leave out the great Casablanca. SL: Watch the wonder of my three-year-old son as he changes and grows every day. And working on my new novel. I'm taking F. Scott Fitzgerald's advice and not talking about it, though, until it's published. Scott Lax is a short story writer, playwright, essayist, film and television writer, editor and writing teacher. He has worked as a salesman and a professional musician (performing as a drummer with Bo Diddley, among others). He studied Shakespeare at the University of Cambridge after graduating from Hiram College, and was a Bread Loaf Scholar in nonfiction and Sewanee Fellow in fiction. He was named Midwest Filmmaker of the Year at the Cleveland International Film Festival in 2002 for his work as source-writer and producer of the film adaptation of The Year That Trembled. Scott lives with his wife, Lydia, son, Finn Scott, and stepson, Angus, in the Chagrin Valley near Cleveland, Ohio. For more information about the author and his work, please visit his website at ScottLax.com. A young man loses the true love of his life and seeks vengeance from the man he holds responsible for his wife's death. Told with elegant simplicity, this novel of literary suspense is a tragic story of love and loss that ultimately reveals the cruelty of human nature and the healing power of forgiveness. Sam and Sophie's idyllic life of Parisian cafés, fine wine, and romantic passion is torn apart when Sophie is diagnosed with a terminal brain tumor. Then Sophie reveals something that happened years before they met — a horrific event that changed her life and left her wounded in ways no one knew. She's found peace in the years since, she swears to Sam. But then she's gone, and Sam finds only pain. Bereft and alone, he leaves the City of Light and seeks solace in a small French village where no one knows him or his past. Troubled in heart and mind, he knows one man is responsible for Sophie's death. Sam cannot live without confronting him and holding him accountable for his past crimes.